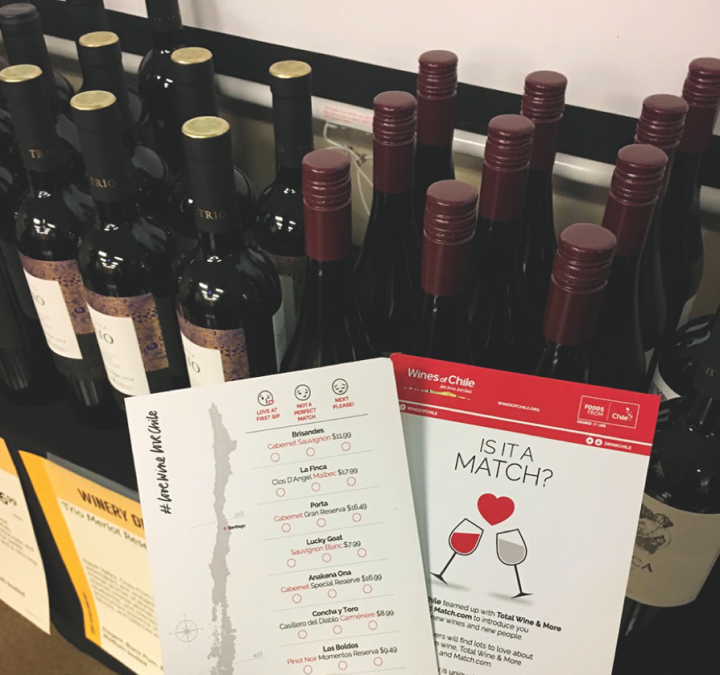 Match.com users tasted wine courtesy of Wines of Chile (comment cards pictured) at speed dating events held at Total Wine & More locations nationwide. Then the parties needed to select a venue—that’s where Total Wine came in. Bentwood says the chain’s multistate footprint, the availability of classrooms within the stores and other attributes made it a desirable partner. She adds that hosting the event in a retail channel, where consumers could purchase the wines immediately after the event, was also a plus. Nancy Li, manager of sponsorship operations and strategy at Match.com, says the events were a natural fit for her company, which is constantly striving to create differentiated offerings. “What Match.com brings to the table is an audience,” Li says. “We have members all over the country, and we can bring them to partners in any market. Our members walk away knowing more about Chilean wines. They also are thinking about visiting Total Wine the next time they shop, and hopefully they’ve made some connections with other singles at the events.” Total Wine will follow the events with “ongoing promotions” as well as a national tasting table in the fall featuring wineries that participated in the event, Thomas says.